Cannabis is catching a lot of attention this week following the news that even Coca-Cola is considering cannabis-infused drinks. While Coca-Cola isn’t the first company to consider tapping into the increasingly legal market, much like the tobacco company Altria (MO), home of Marlboro cigarettes, it is facing a waning market for its core sugary and artificially sweetened beverages as more consumers embrace healthy and better for you beverages and products that are part of our Clean Living investing theme. In recent months, we’ve seen a flurry of M&A activity as companies look to ride that Clean Living tailwind. Starbucks has taken to promoting its lower-calorie Cold Brew and tea products and is bringing its own kombucha product into its stores. In some respects, Coca-Cola and Altria are looking to trade one Guilty Pleasure for another, while tapping into a new growth category that is benefitting from growing legalization of cannabis. We are still in the early innings of the cannabis market, and odds are there will be much M&A activity to be had as those legal barriers continue to fall. If history holds, it means larger companies with the scale and scope to bring national distribution if not the international distribution will be those left standing in the coming years. Coca-Cola Company is closely monitoring the rapidly growing marijuana-infused drinks market with the goal to take an entry to intensify its efforts to moving away from sugary sodas. This is part of Coca-Cola’s attempts to tap into markets outside its signature fizzy drinks in a bid to associate the brand with healthier options. Earlier this week, Coca-Cola responded to a BNN Bloomberg report mentioning the company’s talks with Canada-based cannabis producer Aurora Cannabis to develop cannabidiol-infused beverages. Cannabidiol (CBD) is a non-psychoactive chemical present in marijuana. Both Coca-Cola and Aurora denied sharing any specifics, but expressed their interest to enter the infused beverage market. Coke isn’t the first beverage maker to notice the potential of cannabis-infused drinks. The constant change in consumer preferences has made the beverage industry look for new options, and cannabis-infused drinks attracted their attention too. The inclination toward healthier drinks has made soda sales drop to its lowest level in more than 30 years in the United States, according to a Bloomberg report. According to a report by BDS Analytics, sales of cannabis-infused drinks hit $35.6 million in 2017 across Colorado, California, Washington and Oregon with many states reporting rapid growth. This fast-growing segment of beverage industry bets on the health benefits of cannabidiol. According to the American Cancer Society, CBD reduces inflammation and pain treats seizures and even inhibits rapid spread of cancer. As more consumers switch their sodas for cannabidiol-infused beverages, it makes the segment extremely lucrative. 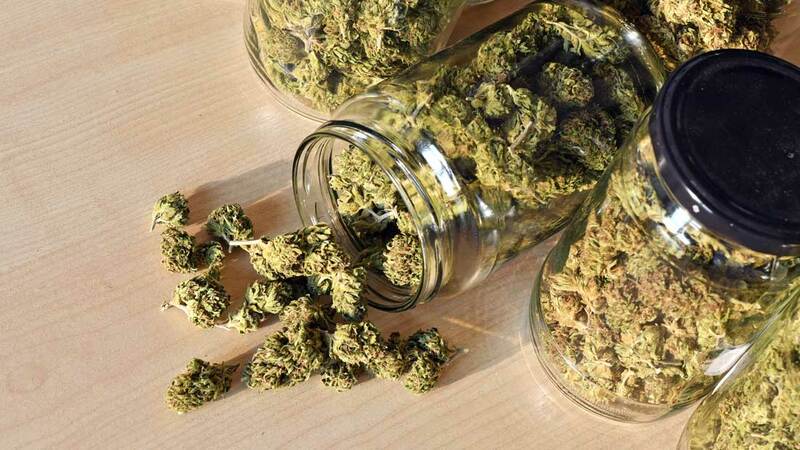 Many brewing businesses such as Heineken HEINY-owned Lagunitas Brewing Company, Molson Coors Brewing Company TAP and Corona beer maker Constellation Brands STZ are coming up with variants of marijuana-infused drinks to emerge as the biggest players in the new industry. Source: Coke Eyes Cannabis-Infused Beverages, Will Others Follow?